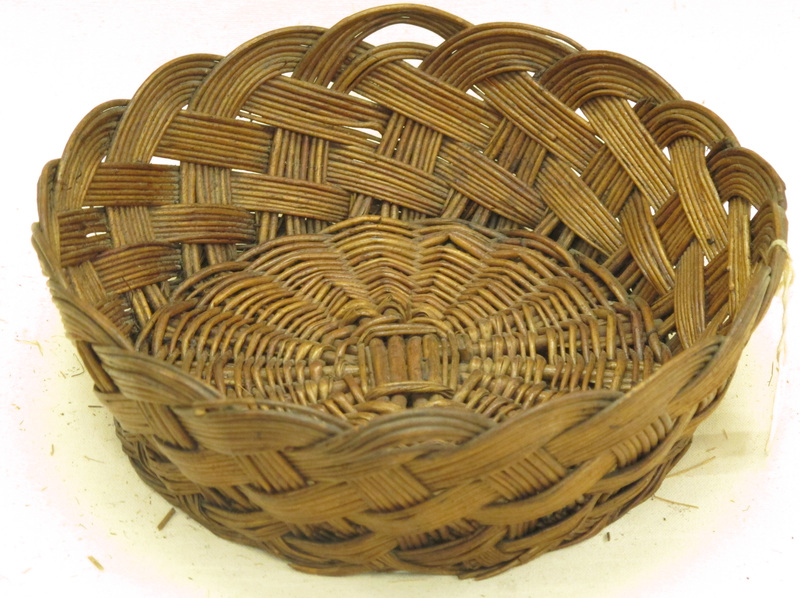 Go to many museums on mainland Scotland, and there are always one or two examples of these ubiquitous baskets, often, but not always, made in the Madeira style described by Liz Balfour in our blog (Oct 2015). 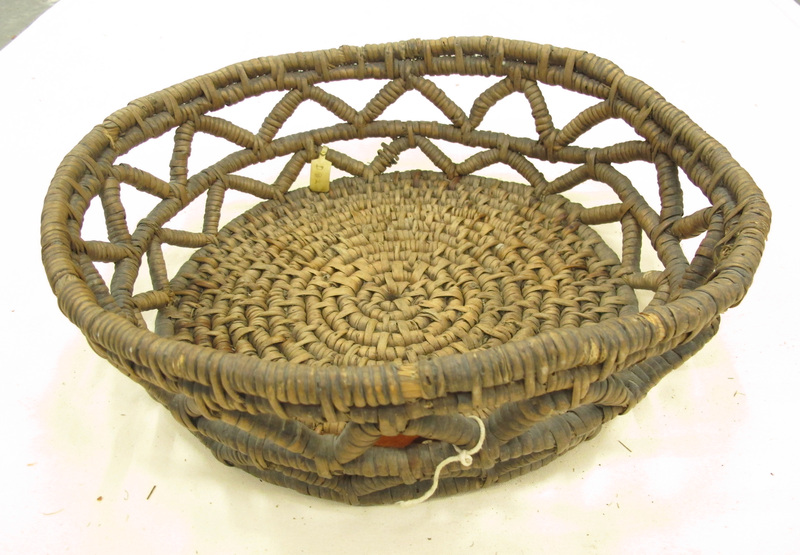 They are usually made from stripped willow, which looks to be buff, but they could just be coloured with age. 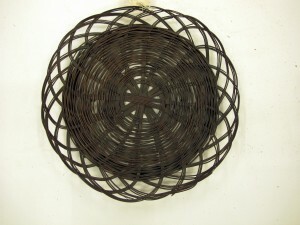 Some are also made from cane, and one from Perthshire appears to be willow wrapping a straw core using an elaborate coil technique. I had always thought that their use was for holding bread on the table at mealtimes. 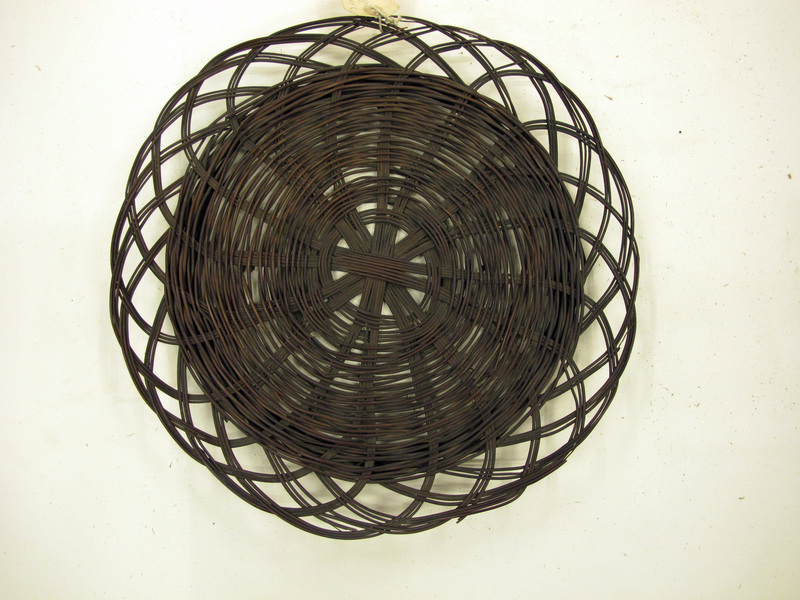 However, having recently learned how to make sourdough bread, as well as having visited a few of the growing number of artesan bakeries across the UK, there is another use for similar sized baskets in the life cycle of such breads, and this is as a ‘former’ for rising dough. Rounded breads such as sourdough or bannocks usually have their second proving in a cloth-lined basket to help contain the rising dough as it expands. This ensures the dough forms a rounded shape as it grows, rising upwards as well as out. In this way the bread takes on a classic dome form, seen in traditional Scottish breads in the Selkirk bannock. Given the likelihood of bread tins being beyond the purse of many home bread makers in the past, this poses the possibility of such a use for the Scottish bannock basket. 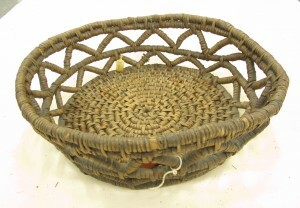 Does anyone have any information or family knowledge about such use for these small baskets?